In this blog post from Gambling.org it discusses vr slot machine games and where to find the best VR slots casinos. Virtual reality slots are changing the online gambling industry by offering a fully immersive casino experience unlike anything we've even seen before from typical online casinos. Players looking for VR slots to play will find a list of top recommended VR casinos from gambling.org. In one of the latest online reviews from BitcoinCasinoReviews.net you'll find a review of the new bitcoin slots website BitcoinSlots.io. You can always find weekly bitcoin casino reviews of the top ranked bitcoin casinos at BitcoinCasinoReviews.net. Hear ye hear ye, be ye nobleman or peasant, there’s coinage to be claimed with IGT’s Medieval Money! 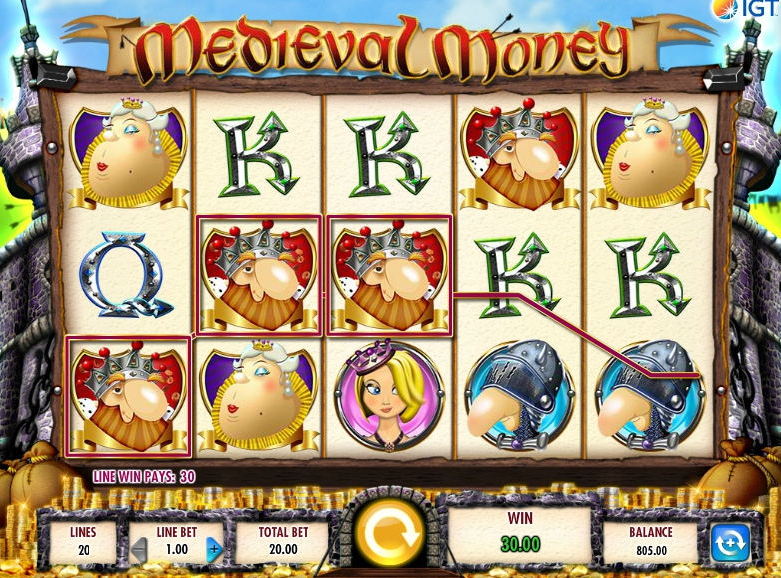 A five-reel slot with 20 paylines and a non-progressive jackpot of £1,000, this engaging little slot harks back to the Middle Ages and is reminiscent of tales of Arthurian legend.